The Queen and members of the Royal family attended the annual Remembrance Day Service at The Cenotaph on Remembrance Sunday. The Queen watched the Service from the balcony of the Foreign & Commonwealth Office building. 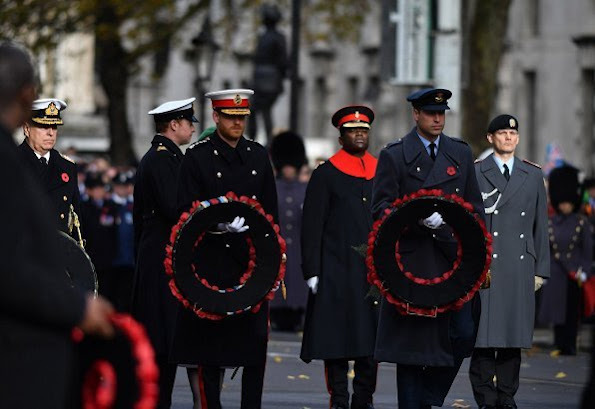 The Prince of Wales and The Duchess of Cornwall, The Duke and Duchess of Cambridge, The Duke and Duchess of Sussex, The Duke of York, The Earl and Countess of Wessex, Princess Anne, The Duke of Kent and Prince Michael also attended the Service at the Cenotaph. Oh, welch Überraschung, neben Meghan steht Elke Büdenbender, Ehefrau von Bundespräsident Frank-Walter Steinmeier. Gut schaut sie aus. I prefer the outfits of Queen Elizabeth, Camilla and Kate. 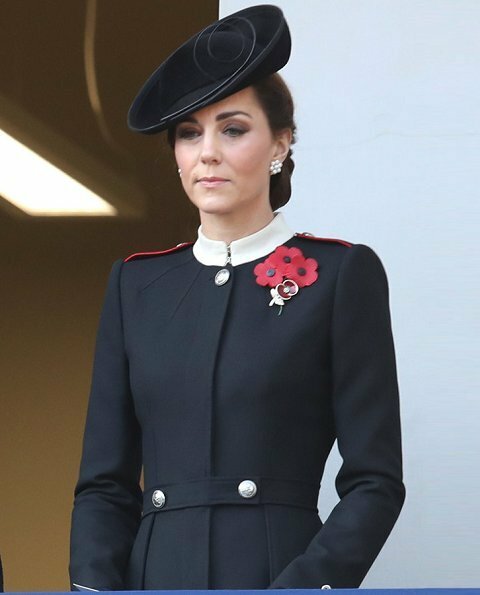 Especially Kate's military inspired look. What a strong but also emotional expression. I really don't like Kate's choice today. All the others are ok. I totally agree with Katharina. Especially since we know that Catherines family lost three sons in that war. Her outfit is a wonderful gesture. Today Kates esemble is a miss to me. Do not like the white collar altough it goes with Camillas pearls. Classic British....... Appropriate, nice and somber. 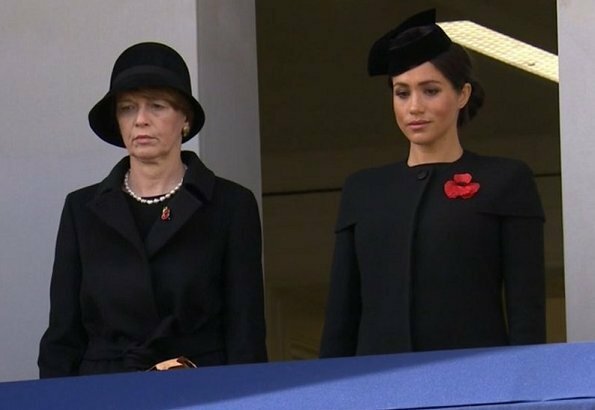 The uniform Details on Kate’s coat are a good touch and Meghan looks solemn ans elegant too. I hope we never forget the massive sacrifices of those who serve to keep us safe. The woman next to Meghan is Mrs. Büdenbender, Germany's First Lady. 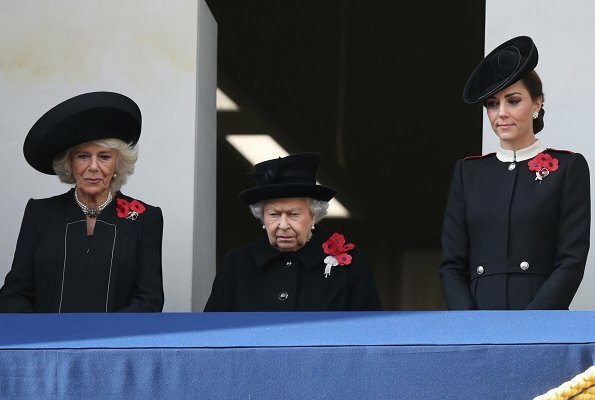 Both Meghan’s coat and hat are so classy and appropriate, Kate’s outfit looks a bit “costum-y “ . I don’t like it at all. No for Kate, yes for Sophie. At my opinion Camilla, Meghan and the queen are the most elegant royals. I don't like Kate's "uniform". Meghan’s hat is too small for her head it seems, almost too tall needed to be a little bit more broad, in my opinion. Everyone else looks extremely elegant and somber. Love the red details on Kate’s shoulders. Agree, Meghan's hat is too small. I don't like the millitary touch of Kate's outfit. I think it doesn't suit her. Meghan looks elegant, love her coat. Sophie, the Queen and Camilla looks nice too. 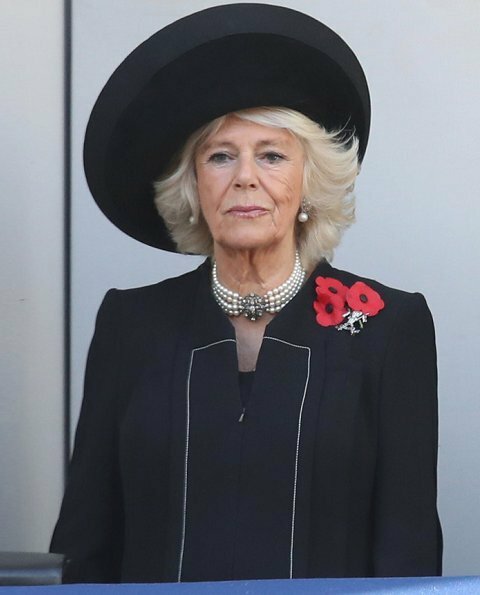 The Duchess of Cornwall: absolute klasse. Meghan and Sophie are the winners today. 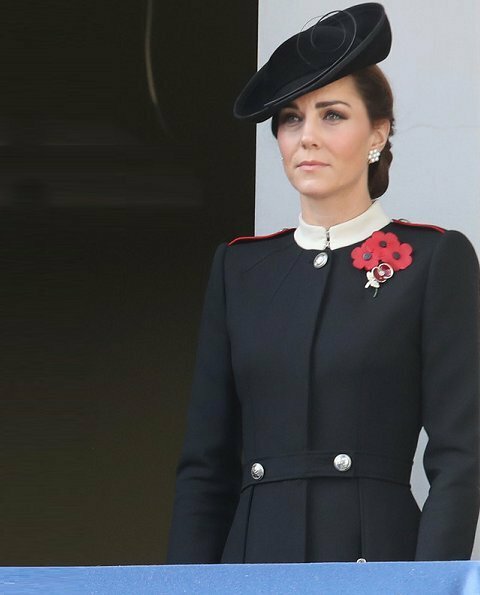 Kate's hat is nice but looks like she's wearing a military costume, while undoubtedly custom made and expensive, it doesn't exactly have a lot of re-wear value. Meghan and Sophie look classic & elegant. I agree that Meghan and Sophie look very elegant along with the Queen and Camilla. However, Kate's coat can easily be worn again by her when she is inspecting a military regiment, which royals often do. 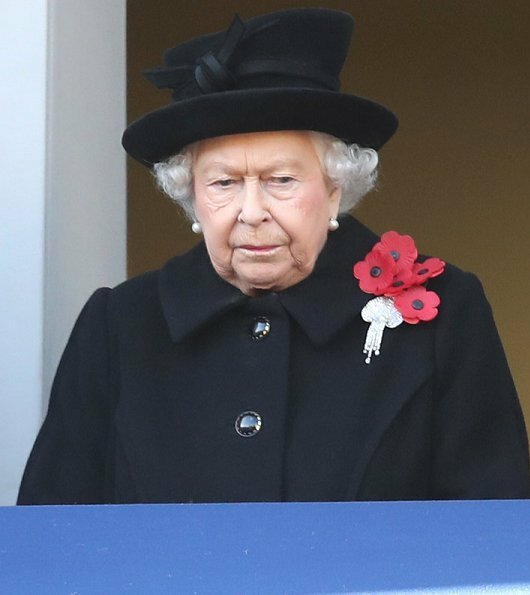 She may even wear it for another Remembrance Day ceremony. She has repeated her outfits for this event in the past. Every Member of the BRF is dressed elegant and classy. Remember the Soldiers who gave so much,so we can enjoy PEACE today. I Thank them for their Service. Catherine always so appropriate for the occasion. 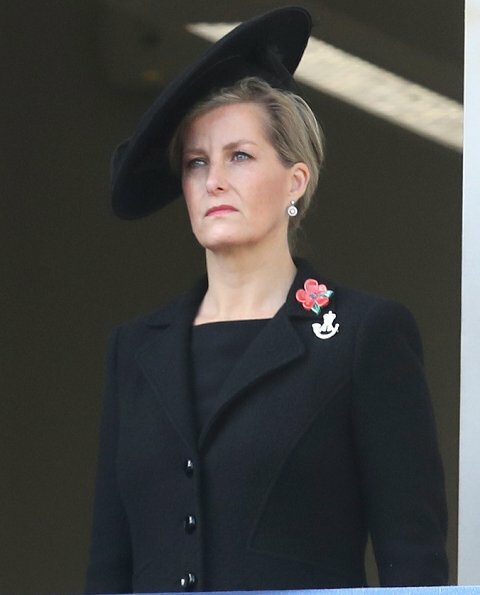 This military style is such a nice nod to the remembrance today. Both the Queen's and Camilla's hats suit them quite well. I do not care for the odd shoulder design of Meghan's coat. Sophie has a classic look. 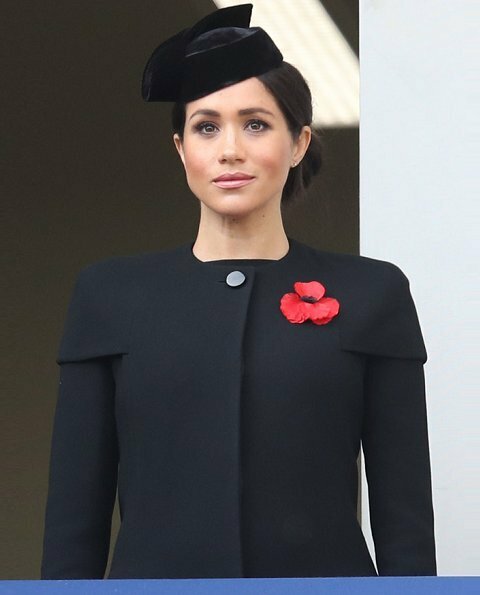 Meghan's hat doen't suit her - it makes her face look much rounder, and the cape detail on her sleeves is not flattering either. The winners are the Queen and the wife of German president. Agree about the winners and Meghan with her baby on the way looks rounder. Meghan's fan club members are all over this board. Meghans coat is elegant. Sophie looks very stylish too. Me gustan como van vestidas todas las damas,pero en especial el abrigo de Kate, es un momento muy solemne y en unas fotos se nota que Kate está muy emocionada. In my humble opinion, this eyes make up doesn't flatter the Duchess of Cambridge. The eye shadow looks like a stain. Anyway, she looks classy and regal as usual in these events. Why does Kate look so old in the face? Isn't she and Megan the same age? Catherine has three little children. And this event must have been very emotional for her as three male relatives of her died in this war. What we look like depends mainly on genes. We are human and therefore we compare the Ladys or their clothes. There is no huge miss and the all did their best, we all know. Kate´s make up is much darker as the others and she is very slim, which is becoming to her. In my opinion all the hats were very good chosen and so the coats with their individual details. 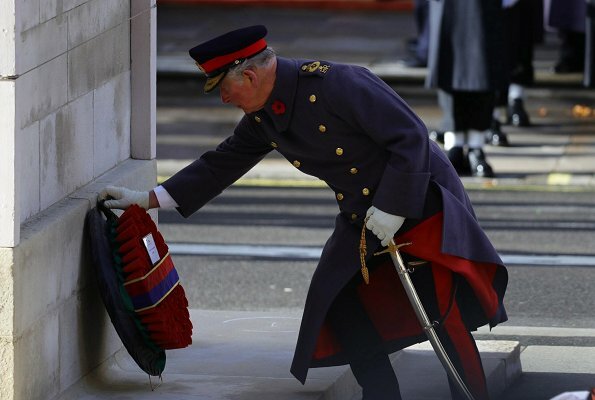 I like how differently and individual they interpret Rememberance Day. Thank you for getting to the point. So much criticism, speculation, and at times dislike of a person they have never met. They are individual women, with personal tastes, commemorating the veterans who fought to protect them. This Blog is about FASHION! Yes, fashion, not about how bad Kate's FACE looks. One this rare occasion, it is nice to say a little less about the fashion and honor the event. All of the ladies look respectful. I am no sure why Kate looks so tired and thin. Kate has three kids, including a six month old baby--when my kids were as small as hers, I got a full night's rest maybe once a week. A six-month old still wakes at least once in the middle of the night and the others may be fearful, overly tired, having nightmares, or not feeling well. Even if you have help, it's physically and emotionally draining. I remember looking forward to having to go to work to get a bit of respite. She was up late the night before and hardly had time to get up and get ready. No wonder she looks tired. It has nothing to do with being thin. I didn't want to face friends when I went out feeling exhausted. She has to face the world looking beautiful and queenly. Totally agree, Im very luck and have a live-in nanny an easy toddler and lovely boy still I never let the nanny do the night shift, so the next day I look tired, I got the impression that Catherine is a very hands on mom and can understand that she takes the night/difficult shifts, so no wonder she looks tired!! I can tell you right off that you only have a nanny in your dreams! If you had one you would have spoken in a different way. The duchess of Cambridge is absolutely stunning. Her coat is so British and regal, I adore her style. I’m sorry but no one comes close to her elegance. I think they all looked very appropriate and even very smart, even though just appropriate would have been more than enough for an occasion like this. Kudos to them all. I also like Sophie's outfit and Meghan's would be great without the strange cape sleeves--it's a style she's worn before and it makes her look as if she has been stitched into the coat. I liked Catherine's outfit when I saw it at first but the red epaulettes make it too costumey as someone has said above. Nat really wild about any of the hats--possibly Meghan's is best. Well maybe because everyone's having light to sheer make up that's why Kate's heavy make up with a very strong eyebrow did stood out and that combined with her costume uniform it does seemed like she liked looking particulary standing out from the rest. There's no denying that she's this close to a smokey make up fit for a cover shoot than to attend remembrance day to remember..well..the fallen soldiers.